If you are looking for the best Magicians in Southampton, Roger Lapin is one of the finest and has been performing as a Table Magician, Close up Magician, Wedding Magician and Party Magician in the Southampton area for many years and has recently entertained guests at the Devere Hotel, Botleigh Grange Hotel, Rhinefield House and Chilworth Manor. 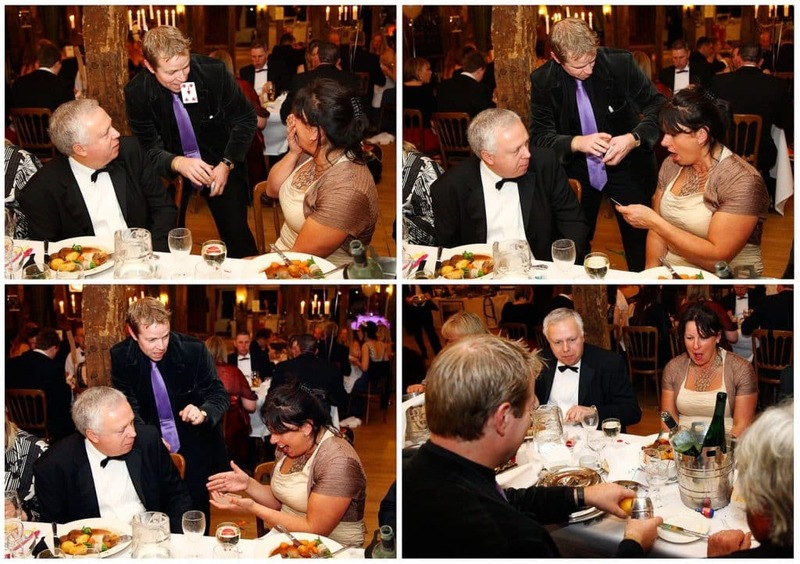 As one of the few professional Magicians in Hampshire Roger will guarantee you a great performance. How much does a close up magician cost? Roger charges by the hour and prices are dependent on where and when your event is. For a personalised quote simply call or email Roger, let him know how many guests you are expecting at your event and he will give you specific price for your event. It all depends on what day your event is. Is it an afternoon or evening performance. If you want to see what Roger is live in real life, just watch the video above to see his style of magic.